1. Information that we receive from you, all the data that you enter on our website or in any other way transmit to us, we collect and store. You are free to not to give us all the information we request. This may lead to our service offer not being available in its full scope. The information you give us, we receive by completed questionnaires and forms, the search for and the purchase of products, the participation in sweepstakes and other use of our service offerings. The information can be: name, address, telephone number, e-mail data, messages, control numbers and financial data. We store the contract text and send you the order data via e-mail to. The general terms and conditions of use you can view at any time here. Previous Orders you can view in your customer account. 2. Information that is collected automatically as soon as you contact us, we may store some data of you. To do this we use so-called cookies, Flash cookies, especially for the evaluations of Google Analytics. 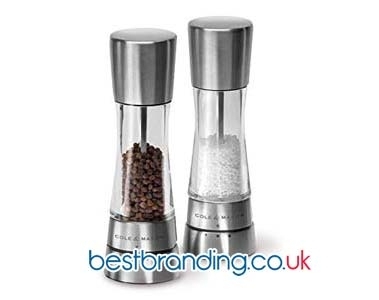 The contact recording can be done if your web browser opens the Bestbranding.co.uk website, advertising or other content which is published on other website in the order of the BestBranding Ltd. The automatically collected data can be: IP address, delivery confirmation and read confirmation emails, email addresses, information about your computer and your Internet connection, such as browser type, version, number), provider, operating system, platform and your order history (visited pages of our website, Date, Time, looked and product search web search, Duration, Duration of the page structure, information about interactions and for leaving the website). 3. Other sources occasionally we receive from other sources information that we use to supplement or to match your data. For example, we receive information about your address data from authorized logistics companies, which we use to update our data bank to communicate with you and make delivery to you. In addition, we obtain information on search words and search results using Google Analytics. We reserve the right for third parties to obtain information about your credit payment history in order to be able to provide you with certain payment methods. For this purpose, we get information on your accounts, purchase and payment behavior, as well as information from credit reporting agencies which we use, abuse, notably if fraud is detected. Credit rating and scoring if we pay in advance, for example in the event of a purchase on account, we get to preserve our legitimate interests if necessary, Credit can be probability values (score values), which are calculated on the basis of scientifically recognized mathematical-statistical methods and in the calculation for address data. Your concerns of protection will be considered according to the legal provisions. Processing of your Personal Data will be stored, processed and passed for the provision of settlement of the orders and the delivery of goods and services and the execution of payments, as well as any necessary credit checks. We use your personal data in addition to improve our service, our product range or even I the website and to give you a better performance. 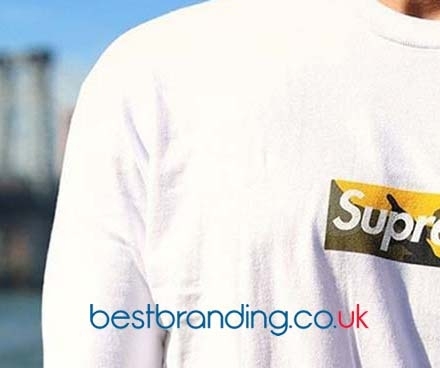 As part of the personalised services of BestBranding Ltd, your registration data and the one from when you visited the BestBranding Ltd pages are combined to create a user profile. We also particularly use your information to prevent and detect fraud or enable third parties to carry out the technical, logistical or other services on our behalf. 4. You can visit our website at any time, even if you do not accept cookies. We point out however that the use of our services without cookies is possible only in a limited way. Cookies are files on your computer or other data carriers, that are used to save data and settings from the exchange with our system via your browser. The exchange aims is the improvement of our service and to facilitate data entry in forms on our site. We use the information you provide to fulfill your order and settlement. With the transfer of your personal data you give us your consent to use this data for contract execution and processing your requests. For all other uses and transfers of your personal data we ask for your prior consent. We ask for the consent for the purpose of advertising and market research as well as the needs of electronic design services at the BestBranding Ltd. The use of your data for your personally tailored advertising is also just in case of your consent. When registering for the newsletter, your e-mail address is used for advertising purposes, until you unsubscribe from the newsletter. The deregistration is possible at any time. 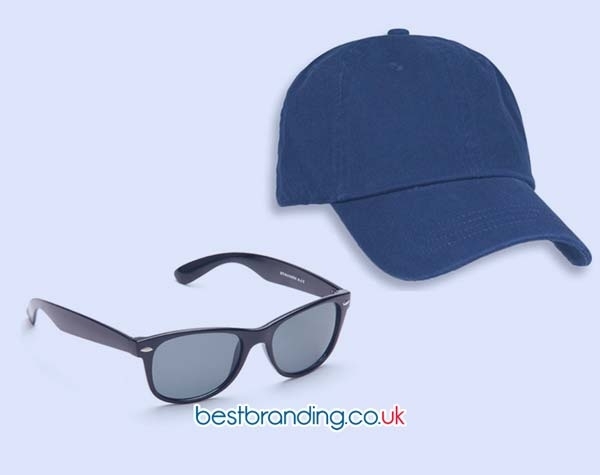 To protect the BestBranding Ltd we give information to the customer accounts and personal data, unless we are legally required to do so or when such a transfer is required by our general terms and conditions of business or other agreements to assert our rights and the rights of our customers and those of third parties to protect. This includes a data exchange with companies that are specialized in the prevention and minimization of information abuse and credit card fraud. It is explicitly declared in this connection that there is no data transfer to these companies for economic use. On our website, so-called social plugins ("Plugins") of the social network Facebook, by Facebook Inc., 1601 S. California Ave, Palo Alto, CA 94304, USA ("Facebook"). The plugins are marked with a Facebook logo or the addition "social plug-in from Facebook" or "Facebook Social Plugin". An overview of the Facebook plug-ins and their appearance can be found at https://developers.facebook.com/docs/plugins. using Google+ plugins (e.g. "+1" button) on our website, so-called social plugins ("Plugins") of the social network Google+ from Google Inc., 1600 Amphitheatre Parkway, Mountain View, CA 94043, USA ("Google"). The plugins are for example buttons with the characters "+1" on a white or colored background. An overview of the google plug-ins and their appearance can be found here: Https://developers.google.com/+/plugins if you visit a page of our website, which contains such a plugin, your browser will establish a direct connection to the servers of Google. The contents of the plugin is transmitted from Google directly to your browser and are integrated in the page. Through the integration Google receives the information that your browser has accessed the relevant page of our website, even if you do not have a profile at Google+ or have not logged in to Google+. This information (including your IP address) is transmitted directly from your browser to a Google server in the USA and stored there. If you are logged on Google+, Google can assign your visit to our web site to your Google+ profile immediately. If you interact with the Plugins, for example the "+1" button, the corresponding information is also directly transmitted to a server of Google and stored there. The information will also be published on Google+ and there appear to your contacts. For the purpose and scope of the data collection and the further processing and use of data by Google as well as their rights and setting options for the protection of your privacy, please refer to the privacy notices of Google: Http://www.google.com/intl/de/+/policy/+1button.html if you do not want the data Google collected through our website to be directly assigned to your profile on Google+ before your visit to our web site please logout at Google+. You can completely prevent the Google Plugins also with add-ons for your browser, for example, with the "noscript" script blockers (Http://noscript.net/). If you are logged in at one of the social networks, the provider can use the visit of our website and directly assign it to your profile on Facebook or Google+. If you interact with the Plugins, for example, the "like" or the "+1" button, the corresponding information is also directly transmitted to a server of the provider and stored there. The information will also be published in the social network and appear to your contacts. For the purpose and scope of the data collection and the further processing and use of data by the provider as well as their rights and setting options for the protection of your privacy, please refer to the privacy notices of the provider. Using Twitter plugins (e.g. "Tweet" button) on our website, so-called social plugins ("Plugins") of the micro-blogging service Twitter, by Twitter Inc., 1355 Market St, Suite 900, San Francisco, CA 94103, USA ("Twitter"). The plugins are marked with a Twitter logo, for example in the form of a blue "Twitter Bird". An overview of the Twitter plugins and their appearance can be found here: Https://twitter.com/about/resources/buttons When you visit a page of our website, which contains such a plugin, your browser will establish a direct connection to the servers of twitter. The contents of the plugin is transmitted from Twitter directly to your browser and are integrated in the page. Through the integration of Twitter receives the information that your browser has accessed the relevant page of our website, even if you don't have a profile on Twitter or just are not logged in on Twitter. This information (including your IP address) is directly transmitted from your browser to a server of Twitter in the United States and saved there. If you are logged in to Twitter, Twitter can assign your visit to our website directly to your Twitter account. If you interact with the Plugins, for example the "Tweet" button, the corresponding information is also directly transmitted to a server of Twitter and stored there. The information will also be published on your twitter account and appear to your contacts. For the purpose and scope of the data collection and the further processing and use of data through Twitter, as well as their rights and setting options for the protection of your privacy, please refer to the privacy notices of Twitter: https://twitter.com/privacy if you do not want that Twitter directly assigns the data collected through our website to your Twitter account, prior to your visit to our web site logout at Twitter. You can completely prevent the Twitter Plugins also with add-ons for your browser, for example, with the "noscript" script blockers (Http://noscript.net/). You can change your privacy settings on Twitter in the account settings under: Http://twitter.com/account/settings. A cookie is a small text file that is stored on your computer when you visit a website. This text file which stores information from the web page that can be read by the website, if you return at a later time to visit. Some of the cookies are necessary in order to ensure that the page functions correctly. Other cookies are beneficial for the visitors: they save the user name on the secure way, such as the language settings. The cookies are used, so that the same information is used every time when you enter a web site. 3. Select "Menu" and then "Options" in your toolbar. 4. Select the tab "privacy". 5. Select "Firefox is a chronicle:" "Use custom settings". 6. Remove the check mark from "Accept Cookies" and save your settings. 2. Click on "Tools" and then "Internet Options". 3. Click on "Privacy" tab. 4. Under "Cookies" you can remove the check mark and save your settings. 4. Click the „Privacy“ tab in "Content Settings". 5. In the "Cookies" section, you can disable them and save your settings. 2. Select "Settings" in the function list (gray gear in the upper-right corner), and click on "privacy". 3. Under "Accept Cookies", you can specify whether and when Safari should accept cookies from sites. For more information please click on Help (?). 4. If you want more information about the cookies which are stored on your computer, click on "show cookies".